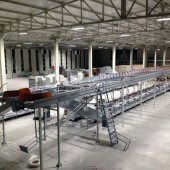 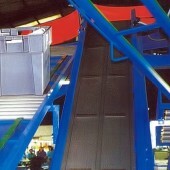 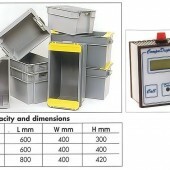 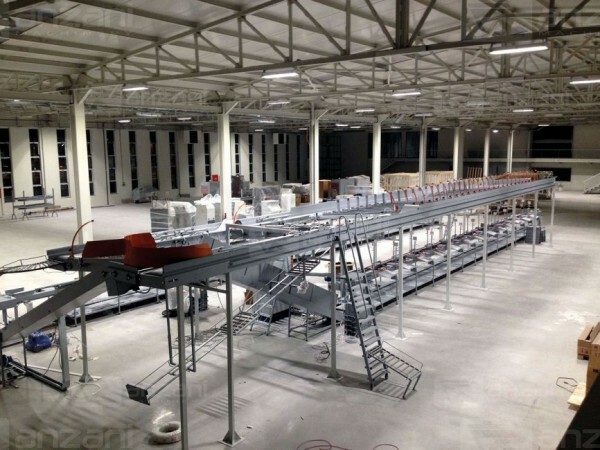 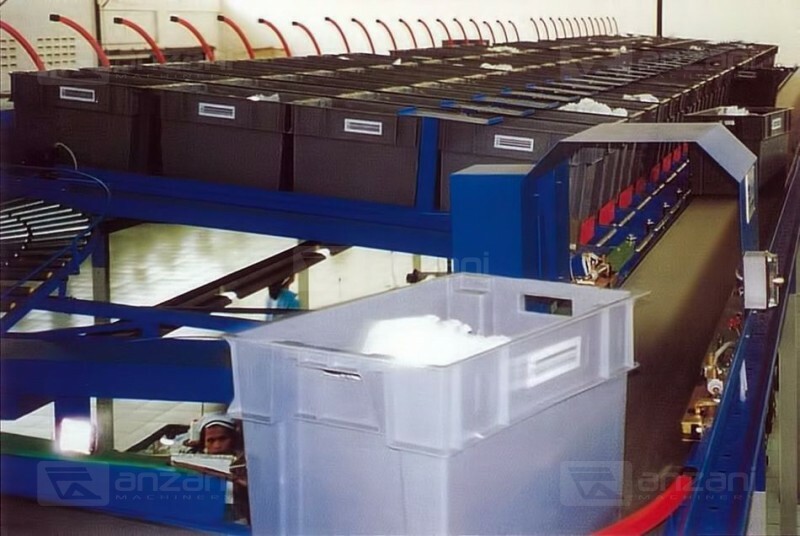 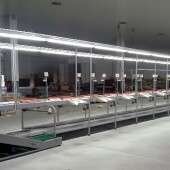 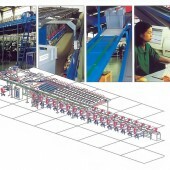 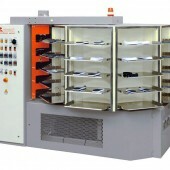 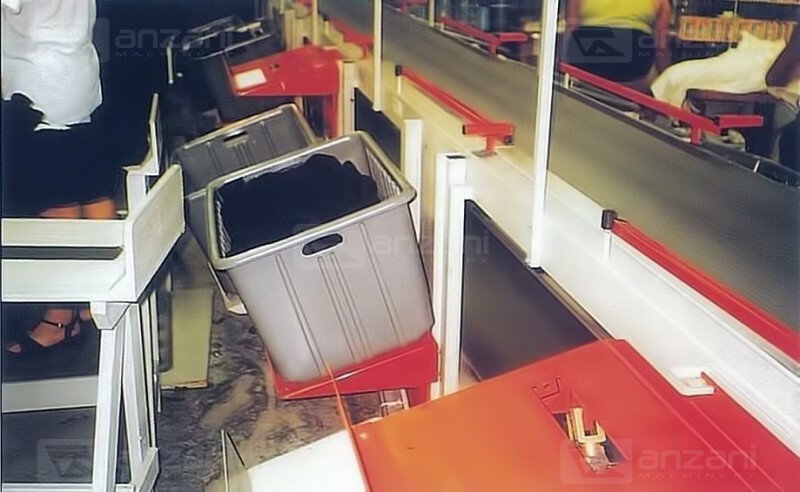 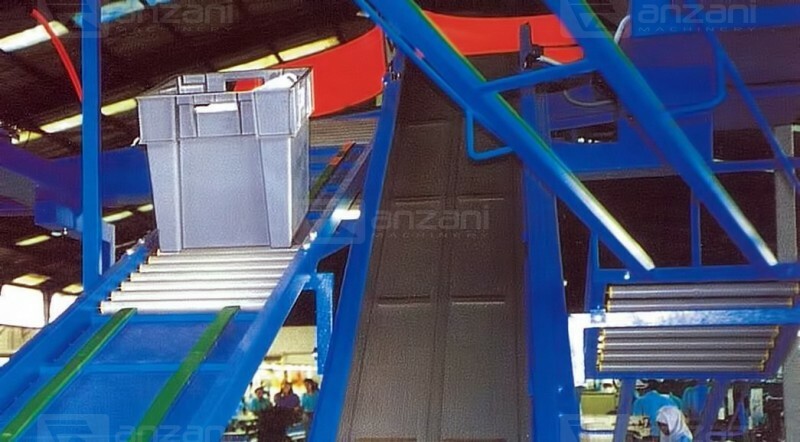 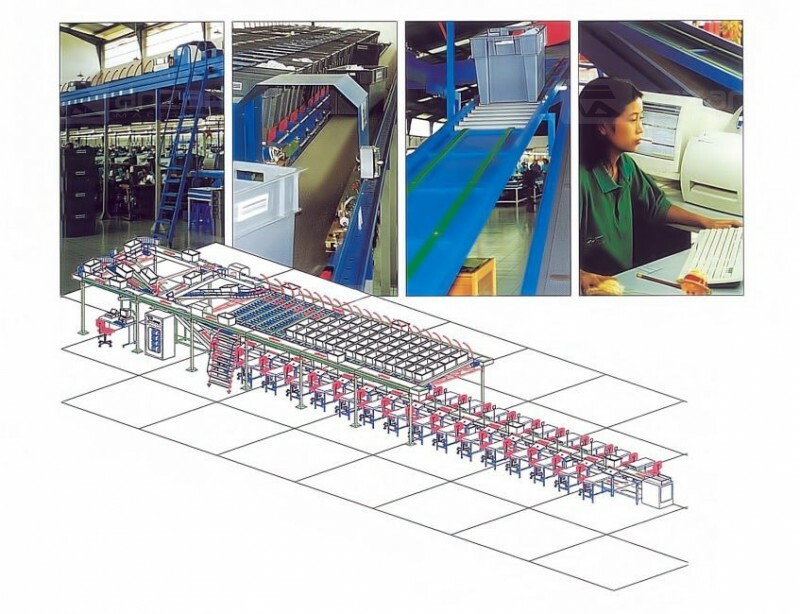 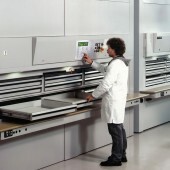 LOGIMOVE Fully-automatic is a belt conveyor with computerized system, that provides for the fully-automatic distribution of containers with semi-finished goods by means of a continuous cycle (workstation - storage area and viceversa) following the sequence of work of each article inside the container. 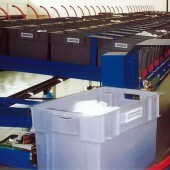 The materials movement is carried out by a software, that sends the containers to the correct workstation. 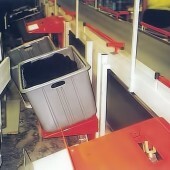 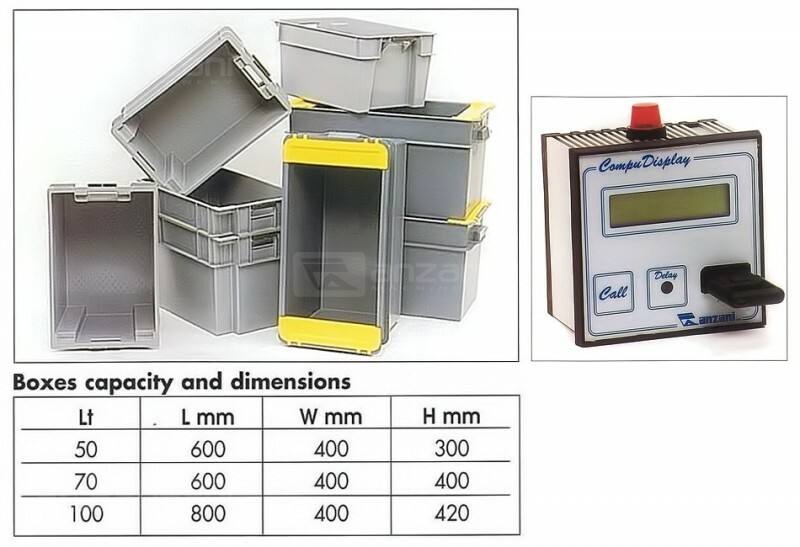 At the end of the operation, the operator places the container on the belt conveyor; the container is sent to the warehouse, but if another operator has to make a new processing on the semi-finished good, the container is sent, immediately, to that workstation, if not it stays in the warehouse. 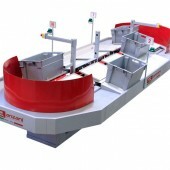 The input of the container on the belt conveyor is automatic, the software sends the container when the workstation is free. 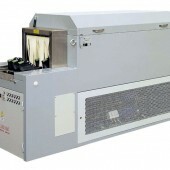 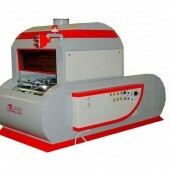 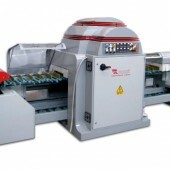 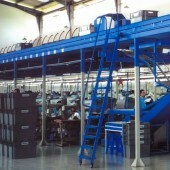 Logimove Fully-automatic is used in shoe factories, apparel factories, leather goods factories and sofa factories. 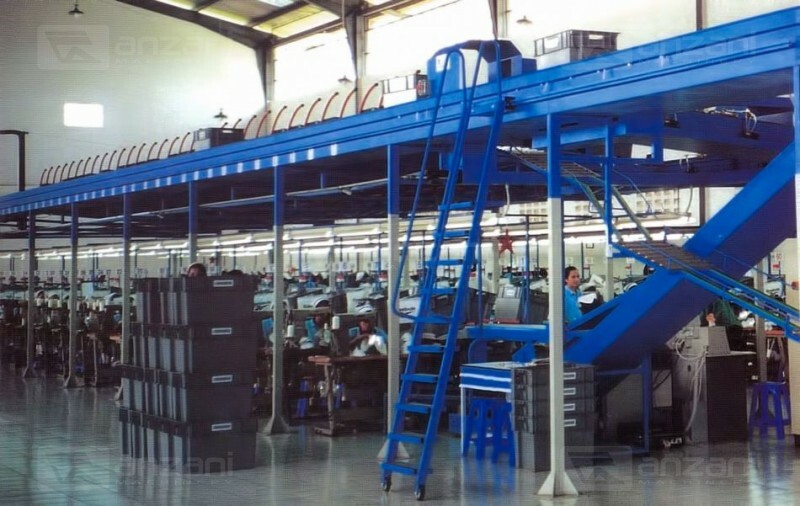 Moreover, the software allows to have reports about the production time and compare it with a standard time, in order to know the productivity of each operator, model, box or order.